I figure if Jason Polakow can haul his gear out to Jaws and rig on a JetSki I should be able to get my longboard gear from the parking lot to the water's edge. 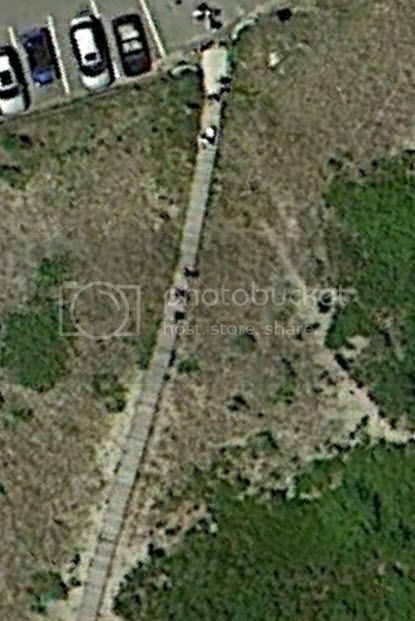 I have the advantage of the first 1/2 of the trek being covered with a boardwalk. I'm curious what the best way to haul my 11' 2" F2 Phoenix plus gear would be. 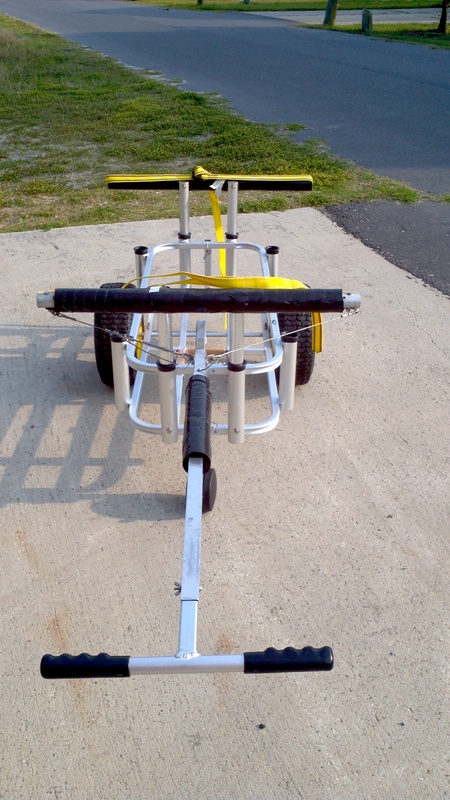 I know this might be as simple as purchasing a two-wheeled SUP cart but it would be great to hear how others might do this. I should mention that I'd like to do this in one trip and rig at the water's edge. I'd up for a DIY project too provided it was straight-forward enough. If anyone has done this or has any advice I'd love to hear it about. Most people would just make 2 trips. 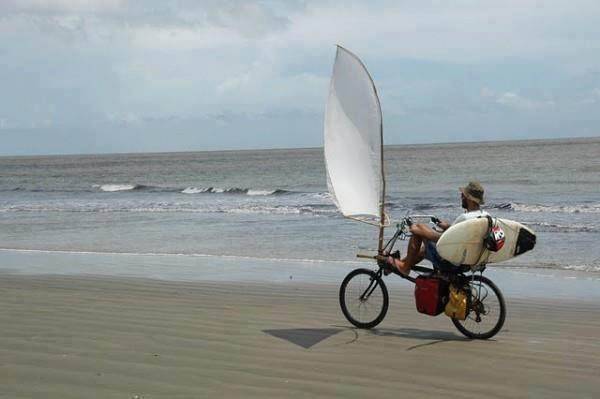 That's what I always do for all my longboard sailing... and most of my shortboard sailing. 1st trip - carry board down to the water. You get a good look at the water, decide what sail to rig. Back at the car - rig up. 2nd trip - carry rig to water. Then sail. After sailing, I make the 2 trips again, but decide which to carry back first depending on how windy it is... where my stuff wil be safest and won't blow away, etc. Most places for windsurfing aren't more than a couple football fields (or 3 at most) between car and the water. And yeah, that's a time-consuming walk. That's why the MOST popular places are less than one football field away. The closer the better, for sure! 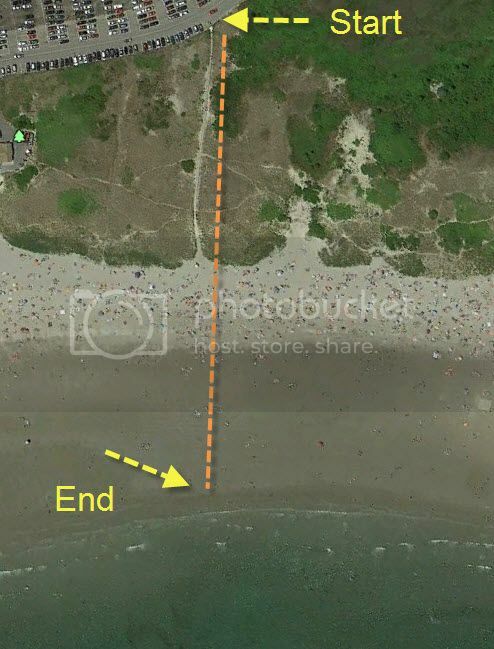 From your picture, you could also focus on going mostly at hi-tide... than your walk will be almost half as far. Of course, there are people that have the carts... and that's fine. There are tons of different kinds I've seen over the years. But they can be a hassle to deal with for many reasons. But some have their reasons... and that's great... they just get used to a different routine. 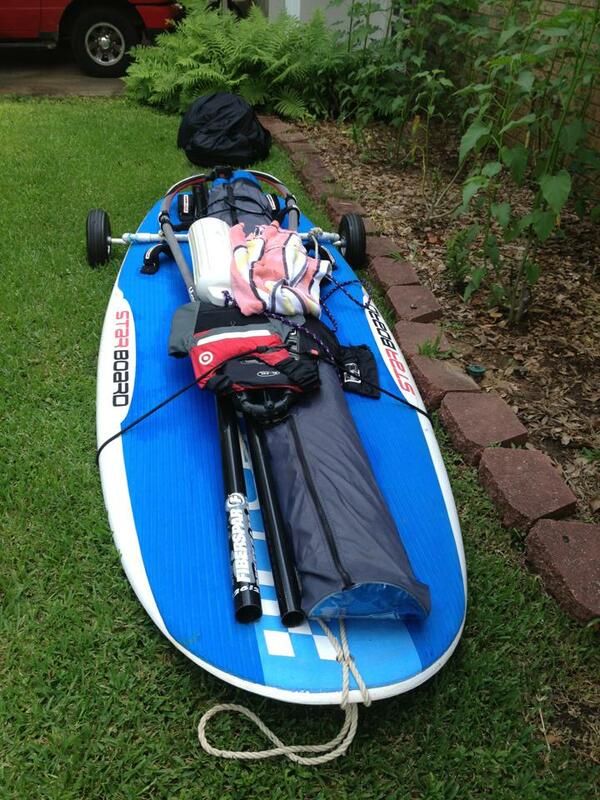 There are about a zillion videos on Youtube that show you how to make a SUP/kayak cart. You could look at those for ideas, then customize to your own needs. Or just let your imagination run wild. What Greg said. Most Oregon coast launches require knowing one of two things even with little bitty gear: 1) how to balance and carry everything on your head or 2) that two casual hikes take less apparent work than one highly encumbered trek. Add uneven conditions (e.g., sand, steps, gusty winds), and any highly encumbered schlep becomes an ordeal. Don't forget that #1 places that same dynamic load on your cervical/neck vertebrae and discs, asking for long-term trouble. And despite plenty of muscle and anaerobic conditioning, carrying everything down at once across windy dunes is more flat-out, gut-busting, lung-busting WORK than I want to do before or after a session. The extra few minutes of two trips makes the whole effort MUCH easier, IMO. Board first under one arm, stroll to the water's edge, leave it belly down and nose into the wind, rig near van, tuck it under one arm and stroll to the board, then plug and play. Key word: stroll. Video tape all that, then run the tape backwards after you're through sailing and drive away. Not convinced? Have the videographer record closeups of your face, breathing, and language while doing it your way and again our way. That'll convince you! I built my own dolly out of PVC, all thread rod and a couple of dolly tires. Got it all at Lowes. 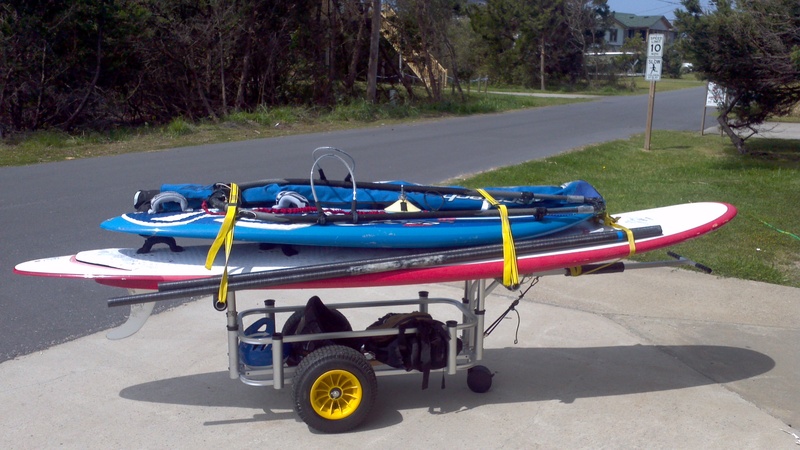 Here is a pic of my Start loaded up, but I can use it for my Kona as well. I have a short walk to my neighbors house 4 doors down. There is a clear area in back of their house where I sometimes sail. Lots of stumps in my home lake. That black bag in the background has everything else I need. I throw it over my shoulder and make it in one trip. This is great information guys. Thanks. It's interesting to learn that making 2 trips for something like this is more commonplace that I thought. The photos of the carts are awesome. Thank you Dennis, Darbonne, and Windnc for these and for your suggestions. It's nice to know this is doable and it might be something I'll end up doing. Wow! Wonder what happened to it. Damaged?